Revenue for Transnet increased by 11.3% year-on-year (YoY), to R*72.9bn for the year ending March 31, 2018. This was driven by a 4.3% increase in railed export coal volumes, a 6.5% increase in railed automotive and container volumes and a 6.1% increase in port container volumes. The respective increases were attributable to improved operational efficiency due to the deployment of new locomotives and a shift in rail-friendly cargo from road to rail. Transnet Freight Rail increased revenue by 11.7% YoY to R43.7bn and was able to move 77.0m tonnes of export coal, a 4.3% increase. Wagon cycle-time also improved to 62.6 hours from 63.7 hours. Despite disruptions from adverse weather conditions, export iron ore volumes increase by 2.3% to 58.5m tonnes. EBITDA at R20.5bn was an 18.6% improvement on the prior year. The General Freight business grew by 3.1% YoY to 90.8m tonnes. Commodities that posted growth were chrome, which improved volumes by 17.5% to 6.7m tonnes, whilst grain and manganese volumes grew 16.7% and 13.2% respectively. 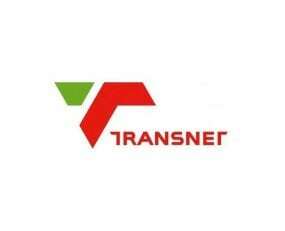 Transnet Engineering achieved market share growth across sectors resulting in a 19.9% YoY jump to R11.3bn in revenue. The National Ports Authority‘s revenue increased by 12.7% YoY to R11.7bn, mainly due to increased cargo from higher volumes and tariffs. EBITDA loss was reduced to R0.14bn from a previous loss of R0.46bn. Port Terminals’ revenue increased by 11.1% YoY to R12.4bn. This was a result of increased volumes across all sectors with container volumes increasing by 6.1% to 4,663,888 TEUs, bulk and break-bulk volumes increasing by 4.3% to 102.2m tonnes and automotive volumes increasing by 3.6% to 704,052 units. EBITDA increased by 10.0% to R4.2bn. Despite operating costs increasing by 6.5% to R40.4bn, EBITDA increased by 18.0% YoY to reach a total of R32.5bn. Cost-reduction initiatives implemented throughout the Company helped contain the increase in operating costs, resulting in a R3.1bn saving against planned costs. These initiatives included limiting overtime, reducing professional and consulting fees, and limiting discretionary costs relating to travel, accommodation, printing, stationery and telecommunications.